KYIV, UKRAINE - March 29, 2017. Kiev in the spring.The monument to founders of Kiev - a symbol of Ukraine. hd00:10KYIV, UKRAINE - March 29, 2017. Kiev in the spring.The monument to founders of Kiev - a symbol of Ukraine. 4k00:12Aerial shot of a Monument to the founders of Kiev. 20. August. 2017. 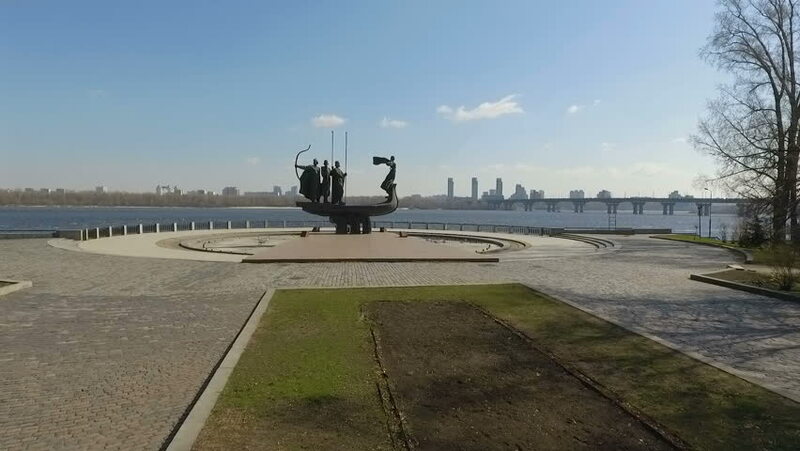 The monument to the founders of Kiev was established in 1982 in honor of the founders of Kiev. Horeb, Kiy, Shchek and Sister Lybid. hd00:13KYIV, UKRAINE - March 29, 2017. Kiev in the spring.The monument to founders of Kiev - a symbol of Ukraine. 4k01:30Country Roads: Sonoma County, CA USA Set 2 - Driving Plate Rear View: Car travels W through small winery road on a clear day with no traffic. Shot on RED Dragon. hd00:28EAST RUTHERFORD, NEW JERSEY- APRIL 14, 2018: Driving plate daytime DX shot of Metlife Stadium in Sopranos like shot during winter on Route 3 going west. hd00:15Moscow. Navigation on the Moscow river.